This year, 2011, is a little different. BYU has moved on to independence. Now Head Coach Bronco Mendenhall is talking about playing for a national championship, and it is rubbing off onto the players. All the more reason to look into the future and predict why BYU will finish the season undefeated and look at what else will happen so BYU will win the national championship. The Rebels are still unsettled at quarterback, to say the least. That, in and of itself, is a recipe for losing your season opener. In case anyone forgot, FCS member Jacksonville State came into Oxford last year and left with a W. The perfect example of how Ole Miss typically struggles in season openers under Houston Nutt. The Longhorns fell flat on their faces last year (5-7). Who is to say they haven’t righted the ship? The 5-7 record tells me that there were some internal conflicts dividing the team. Have they been resolved? This game is early enough in the season that Texas’ unsettled quarterback situation and the changes in several assistant coaches could play a major role. Don’t forget that a much less heralded BYU team went down to Austin in 1987 and won. This will be the biggest revenge game that BYU has had in years. After Utah escaped with the win last year thanks to several fluke plays, BYU will come out breathing fire. Most reports indicate that since last November BYU has gotten better and Utah is regressing. Utah has no experience at running back. Jordan Wynn has been inconsistent in Norm Chow’s new offense. Utah has lost some key players on defense, including Brandon Burton in the secondary. UCF had the best season in school history last year, and they return their promising, athletic quarterback. However, UCF is 3-15 in non-conference road games going back to 2002. Only four starters return on defense, and none of the top 3 wide receivers. BYU will also benefit from UCF coming off its own tough in-state battle the week before. UCF will have a short week to prepare going from a Saturday night road game to a Friday night cross-country road game. UCF will also have to deal with the altitude. This is another revenge game for the Cougars. It will be easy for BYU to avenge last season’s loss. Not only is BYU much, much better than it was when these two teams played a year ago, Utah State has to replace Diondre Borel at quarterback. Let’s face it, the Spartans are bad, even though all 11 starters return on defense. The starting quarterback is gone. Enough said. There is no Jaquizz Rodgers and no Stephan Paea for the Beavers. This is Bronco Mendenhall’s homecoming. His “Band of Brothers” will have his back. There is no way they let him leave without a win. Teams don’t lose on their bye week. Perfect record will stay in tact. With Andy Dalton gone, the TCU offense will take a few steps back. Currently Dalton’s replacement is having some health issues. That doesn’t bode well for the Horned Frogs. This is another game BYU will be looking for pay back after the way TCU has dismantled BYU the last three years. The Cougar D held its own against TCU for 28 minutes last year without any help from the BYU offense. Things will be different this year. I won’t waste your time. Two more almost-impossible-to-lose games. The Warriors have a tough early schedule. Four of their first six games are road games. They will be worn out and emotionally broken after having 2-3 losses so early in the year. Plus, George Salas is gone, and he is an irreplaceable wide receiver. History shows that Bryant Moniz won’t repeat his 5,000 yards and 39 touchdown pass season that he had a year ago. With a less formidable pass game and a BYU secondary that has had all season to mature, the Cougars come out victorious. Now that we have established that BYU will go undefeated, it is time to explain why they will be ranked in the top two of the BCS standings. The short answer is because BYU will be the only undefeated team in the country. The Crimson Tide will roll this year, but they will drop one of two games on its schedule: at Penn State or LSU. The Sooners suffered a huge loss when linebacker Travis Lewis broke his foot. He will be out eight weeks. Texas will beat them in the Red River Rivalry, which, in turn, will help BYU climb the rankings. The Seminoles will get blown out by Oklahoma, again. Playing in the weak ACC will not put a one loss Florida State ahead of an undefeated BYU. The Badgers will trip up somewhere, just like they did at home against upstart Michigan State last year. The 2011 season is the 100th season since Wisconsin last finished undefeated. The Big East champion will not be undefeated. The only time that it has happened by the current members was Cincinnati in 2009. They were then destroyed by Florida in the Sugar Bowl. The Big East champion will not play for the BCS national championship, period. The Ducks will lose to Stanford in a payback game. They also play LSU in week one. Stanford will drop at least two games without Jim Harbaugh. The SEC champion will get the nod to take on BYU. The difference in this game will be coaching. Nick Saban is not a very good coach at preparing his team for bowl games. In 2008, they were clobbered by Utah. The only reason Alabama beat Texas in the BCS championship game the following year is because Colt McCoy got hurt. Alabama came out flat and Texas was taking the game over. After ‘Bama took a big lead at halftime, thanks to a couple of fluke plays, Saban shut it down. This nearly cost the Tide the game. Texas was within three late in the game and had all the momentum. Alabama will also regret not being a better passing team. The BYU front seven will stuff Alabama's run game and force their new quarterback to throw the ball. That won't turn out well enough to win. BYU will win, too, because that is what BYU does in high stakes games where everything is on the line, especially the better BYU teams. Think back to the 2009 season opener against Oklahoma, and the Cotton Bowl 15 years ago. There you have it. Join with me to be the first to say congratulations BYU on winning the 2011 College Football National Championship. That would be so amazing! Too bad so many pieces have to fall so perfectly in place. I would love for this to happen, but I hope we can still find success in a season that doesn't happen exactly like this. Some athletes get a lot of attention because of their parents. In many cases, like Los Angeles Lakers point guard Lonzo Ball, it isn't good attention. For former BYU running back Jamaal Williams, his mother Nicole has brought nothing but positive attention to her son. First, it was her pedigree as a UCLA track athlete. Later, it was her passion in the stands, caught on camera, supporting her son and BYU. Thanks to those television cameras and the social media era, Nicole Williams joined her son in earning a place in the hearts of Cougar fans worldwide. In a recent interview with Blue Cougar Football, Williams fondly said of BYU, "It was a great time. I miss it." 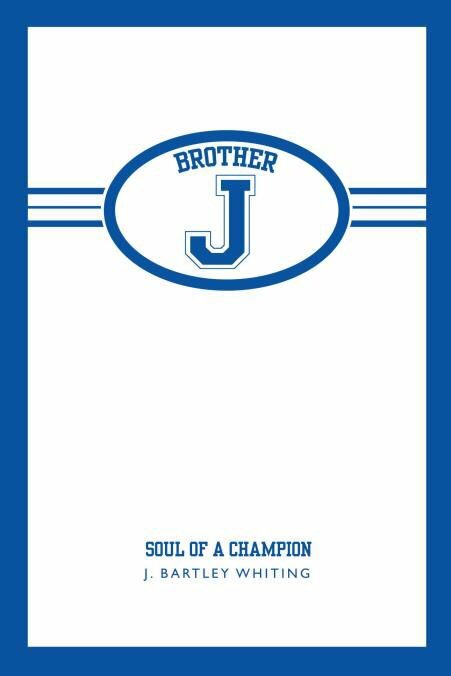 She has two lasting memories of her son's playing career. The end zone was a familiar place for Kyle Van Noy when he was a BYU Cougar. He finally scored a touchdown as a pro on Sunday. The Saints continue to use Taysom Hill to keep opponents off balance, including another fake punt. While a Taysom sighting isn't such a rare thing anymore, two Cougars have yet to see the field post injury. 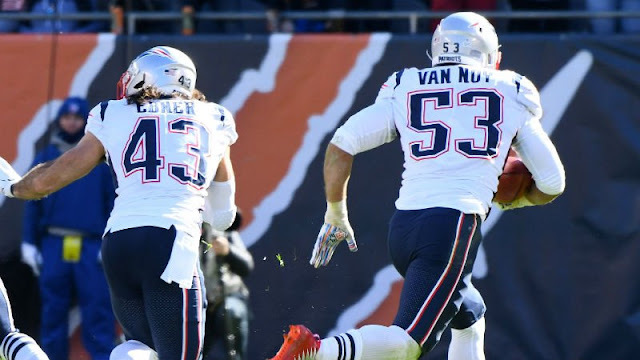 Van Noy played a good game on defense for the Patriots. He was second on the team with six tackles, including one tackle for loss. His major highlight was returning a blocked punt 29 yards for a touchdown in the third quarter to give New Emgland a 31-24 lead. It was the Patriots' second special teams TD of the game. Kyle Van Noy with the scoop and score! pic.twitter.com/AVcDQtQzA2 — Cougs in the Pros (@BYUpros) October 21, 2018At least one guy thinks Van Noy impacted the final play of the game to prevent a Bears touchdown. 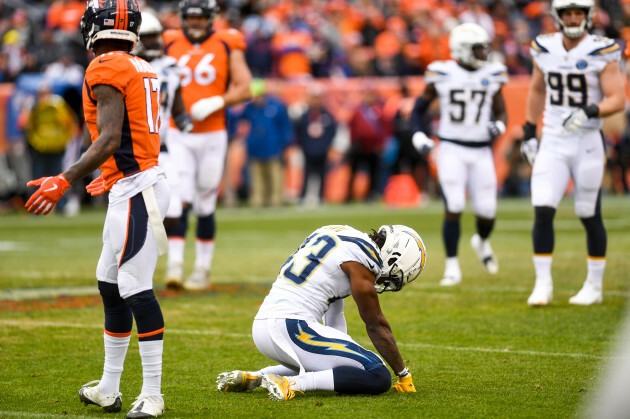 Almost every BYU Cougar in the NFL ended the 2018 season on a positive note of some kind. Kyle Van Noy, Taysom Hill, Daniel Sorensen all scored the second touchdowns of their careers. Michael Davis had a big game to reach 50 tackles for the season. Hopefully, his contract has some kind of bonus for that milestone. These four Cougars will continue playing in the playoffs. Fred Warner and Bronson Kaufusi also had noteable stats. Van Noy had three tackles for the third week in a row. One was a third down stop, and another was a shared TFL. His biggest play of the game, however, was scoring his second touchdown of the season. A 46-yard fumble return.